Another episode of "Partner Support Talks with..." featuring ImprovEverywhere. Panels on audience development and Creator Playbook updates. Opportunities to discuss channel optimization directly with Partner Support. Presentations by well-known partners such as LisBug and RatedRR, who will discuss their experience with audience engagement, production/post-production, and Analytics. An episode of "Partner Support Talks with..." featuring OlgaKay. Group critiques of sample videos and channels, and an opportunity to discuss optimization best practices. Space is limited, so please take note of the date each form closes and RSVP soon! We'll be sending confirmation emails with details to those we can accommodate. Registration is still open for our remaining 2012 YouTube partner meet-ups! We are excited to meet with more of the YouTube community and facilitate our partners mingling with each other. Each of these meetups will offer you a chance to meet your fellow partners, learn about program and product updates, and take your content creation and audience development techniques to the next level. , cutepuppies99 was stuck with a name he may have outgrown, and origamigirl1981 couldn’t reveal the name of the person with the skills. We wanted to fix this, so we started allowing them to use their name from their Google+ profiles on YouTube. Today, we are happy to announce that YouTube partners can now get in on the action by opting in. This provides you with a seamless way to connect with and be discovered by your audience across YouTube and Google. If you think a Google+ profile is a good fit for you, you can start opting in by going to the advanced section of your account settings and clicking “Begin using my full name on YouTube.” Note that this is only available if you have your Google+ profile on the same account as your Channel. And if you change your mind, you can always switch back to cutepuppies99. 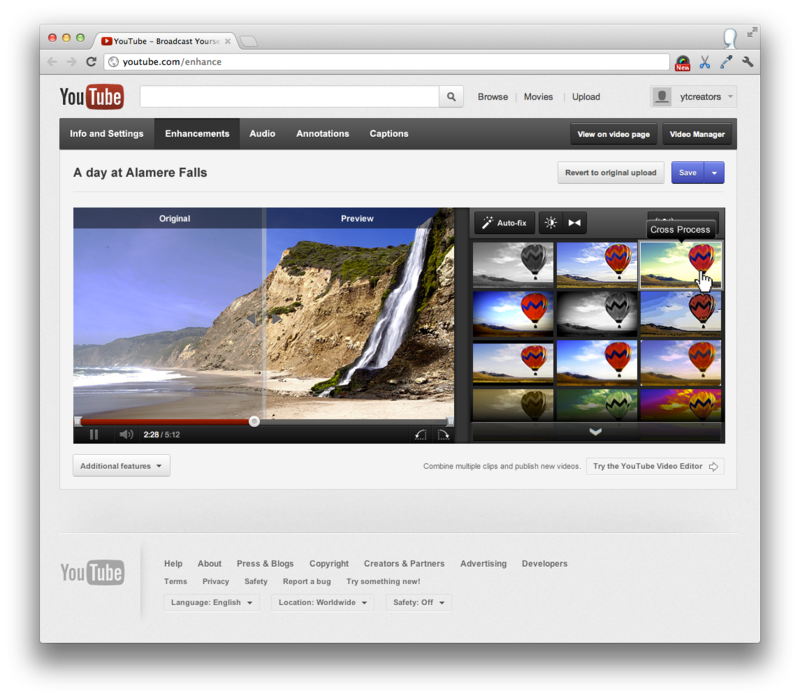 For more information on Google identities on YouTube, visit our help center. Until June, cutepuppies99 was stuck with a name he may have outgrown, and origamigirl1981 couldn’t reveal the name of the person with the skills. We wanted to fix this, so we started allowing them to use their name from their Google+ profiles on YouTube. Our August featured “On The Rise” partner is thevfxbro!
! As a result of strong fan support and recognizable efforts to optimize his channel and videos according to our best practices, Aaron is our featured “On The Rise” YouTube partner for August. 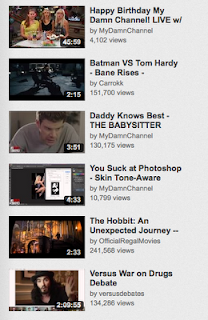 His channel and four engaging videos are featured on the YouTube homepage today. As a film student at Biola University, Aaron perfected his video editing skills and special effects knowledge while mastering programs like Final Cut and Adobe AfterEffects. This work was a natural fit for YouTube, and he’s found success by sharing his expertise with the YouTube world. The thevfxbro channel hosts such videos as the walkthrough of the video effects Aaron used in his “I Am Legend” spoof, his adorable “copy cat,” and how the “Hunt for Pikachu” video was created. Check out his library of video editing tutorials as well as behind-the-scenes footage explaining how Aaron - and his friend Zach from FinalCutKing - use special effects to create their videos. Wow! Having started film school 4 years ago I never thought that it would have ended with me running a YouTube channel with an audience that I not only get to share my videos with, but help along the way. The crazy thing about YouTube is that it’s so new and we have no idea where it’s going to take us. I am so excited to see where this platform takes us filmmakers. Feel free to check out my channel that has awesome videos with visual effects as well as training and tutorials to help you take your own videos to the next level! Congratulations to Aaron of thevfxbro! As a result of strong fan support and recognizable efforts to optimize his channel and videos according to our best practices, Aaron is our featured “On The Rise” YouTube partner for August. His channel and four engaging videos are featured on the YouTube homepage today. Over the past few months, we’ve been testing the impact of custom thumbnails on viewer watch time and engagement. Today, we’re expanding access to custom thumbnails for more YouTube partners, and over time, we aim to make them available to all partners in good standing. Why not just give custom thumbnails to everyone? As we’ve mentioned before, we focus on watch time when suggesting videos because it improves overall audience engagement on YouTube, and opens up more revenue opportunities for you. We’ll continue to recommend videos whose thumbnails help drive viewers to actually watch them, over videos that are clicked and then quickly abandoned. When custom thumbnails do not accurately reflect the content they represent, they can annoy and disappoint viewers. These videos perform poorly on watch time, so they will become less prominent on YouTube. We’re continuing to test how partners use this feature to see how they better drive viewership on YouTube. Over the next few weeks, we'll be granting access in weekly batches to partners. Partners need to have been active for 30 days and in good standing. When you get access, you should only upload images that are representative of your video, ideally featuring prominent stills from your video. Thumbnails must comply with our Community Guidelines, so abuse of this feature can result in strikes against your account and account termination. Displaying thumbnails that accurately and appealingly represent your content is the best way to ensure long-term growth for your channel. First, we’re merging the Creator and Network featured tab templates into the Everything template. By default your featured tab will look as it did before, but you will now have the option of showing both playlists and channels. This allows you to more easily feature your content and promote other channels at the same time. This update is happening automatically this week, and requires no changes from you. Second, we’re introducing a new template called Overview. The Overview template displays a featured video with “shelves” underneath. Shelves are groups of videos or playlists, such as Popular Uploads, Recent Uploads, and Likes. Content is automatically populated into shelves based on the shelf type; you don’t have to do anything. When your viewers click on a shelf title, they’re taken to a full page to browse that content type. These changes simplify creator choices and enhance the browsing experience for viewers. Try out the new templates and let us know what you think. To create a simpler and higher-impact experience for creators and viewers on YouTube, today we’re making two changes to channels. So, to make it easier for you to tell great stories through playlists, we’re making it easy to add interstitials right in the playlist editor. You can choose from a variety of styles for text introductions and even add royalty-free music tracks. Interstitials will appear as unlisted videos in your account, and are eligible for monetization if they are at least 15 seconds long. We hope this makes it easier to program great playlists by curating your own and others’ videos! We’ve noticed more and more playlists with interstitials in between videos -- short intro or outro videos that recap the previous video and introduce the next one. You’ve been using interstitials to weave individual videos together into a bigger story, and frankly, we’re impressed. For example, Eat Your Kimchi uses interstitials to turn a music playlist into a K-POP news show. So to help you monetize your mobile traffic as effectively as on PCs, today we’re launching TrueView in-stream video ads on mobile devices. With TrueView video ads, we’ve developed a model where user engagement matters -- people can skip ads they aren’t interested in after five seconds. Giving viewers choice over ads they watch has lead to a better, more engaged viewing experience, benefiting the entire YouTube community of users, partners and advertisers. TrueView in-stream ads tend to earn equal or higher revenue compared with standard video ads. And since they now comprise the majority of the video ads on YouTube, TrueView allows you to access a broader base of advertisers. You don’t need to make any changes to your channel to take advantage of TrueView on mobile. If you are opted to show TrueView ads on your videos, this will now also include traffic from mobile devices. For questions about monetization options, check out the ads Help Center page. You’ve seen the numbers -- more and more traffic is coming from people watching video on smartphones and tablets. People are watching video when out with friends, while waiting in line, or on the bus home. Mobile growth on YouTube has been phenomenal. Project: YouTube, so you can stay on top of things from your own YouTube subscription feed. Be sure to subscribe to the Partner Support channel, and catch up on previous episodes in the Project:YouTube Playlist. John Langan, YouTube Account Manager, recently watched Hover ‘Bike’ Flies on Pilot’s Intuition. Want to keep up with recent changes to YouTube? The YouTube Partner Support team has launched a new video series called Project: YouTube, so you can stay on top of things from your own YouTube subscription feed. 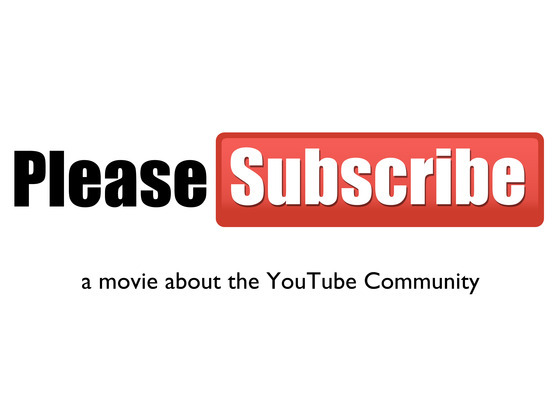 Join us Wednesday, September 5th for the debut screening of "Please Subscribe," a YouTube documentary directed by Dan Dobi. The YouTube world is a fast-growing space with thousands of channels making six figures a year just by uploading videos to the internet. 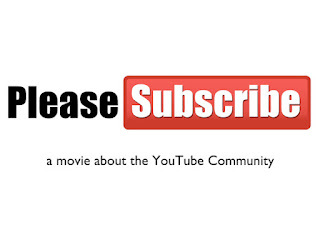 "Please Subscribe" is a feature length documentary that follows some of the most influential and interesting content creators who are raising the bar with online media. Who are these people? How did they get here? How do they stay current in what's becoming an over-saturated market? With 72 hours of footage uploaded to the site every hour, how do these individuals continue to get millions of eyeballs per video? We'll be hosting the debut of this film at Google's office in Venice, CA, followed by a Q&A with director Dan Dobi, Kevin Khandjian, creators Hannah Hart, Seananners, Joe Penna, and Will Hyde, moderated by Shira Lazar of What's Trending and the Partners Project. 10:20-11:00 - Eat, drink, and be merry! Who: You! Please indicate your interest by filling out this form. Your attendance is automatically confirmed once you fill out the form, but please be aware that this event is first come, first served. Security will close the doors once we reach capacity. , or in the metadata editor, which can be accessed by going to your video manager page and clicking “Edit” next to a video. When choosing your tags, it is important to select those that reflect your video. We provide suggested tags in the upload interface and metadata editor, if you need help choosing. With more videos coming to YouTube every minute, we're always developing ways to help people more easily find, watch and share the videos that matter most to them. Our data showed publicly displayed tags were failing to help users find the videos they wanted to watch, so we've decided to make them private. Tags remain an important way to organize and help others find your videos. We strongly encourage you to continue tagging videos -- this will help increase your audience by improving the discoverability of your content. As always, you can apply tags to videos in the upload interface, or in the metadata editor, which can be accessed by going to your video manager page and clicking “Edit” next to a video. When choosing your tags, it is important to select those that reflect your video. We provide suggested tags in the upload interface and metadata editor, if you need help choosing. in London, an annual gathering of the YouTube clans that has seen its audience grow to more than 1,500 in just four years. This year the event will be held at The Brewery in Central London. Whether you’re a creator, producer, or a fan, there are activities including workshops, games, exhibitions, live musical performances and more. Admission is free, so if you’re in London head down from noon on Friday, and 11am on Saturday. We’ll be hosting a room where you can speak directly with YouTube experts about your channel, including tips and tricks to get the most out of your videos. There will also be workshops on a range of topics throughout Friday and Saturday -- sign up for these here. If you can’t attend, the Saturday evening event will also be live streamed from 9am (PST) / 5pm (BST) on the Summer in the City YouTube channel. Tune in to see what’s going on at the venue and see some of your favourite YouTube acts performing live on stage. Kieran Doyle, YouTube Partner Operations, UK, recently watched “Team GB: Don’t Stop Me Now”. This weekend we’re looking forward to attending Summer in the City in London, an annual gathering of the YouTube clans that has seen its audience grow to more than 1,500 in just four years. Our August “On The Rise” nominees need your help to reach the homepage! program showcases four YouTube partners whose channels have shown strong performance and growth but haven’t yet reached the 100,000 subscriber count. This month, our four nominees are more than halfway to that point, and we’ve been captivated by their YouTube content. Each of these partners has found success by featuring his passion and skills in the videos he shares. We hope you find their content - about cooking delicious Indian food, fitness training tutorials, supercar events and races, and video editing software walkthroughs - as engaging as we have. And while these partners have clearly done well on their own, they can still use your support to help them grow their YouTube presence, starting with the opportunity for one of these partners to be featured on the YouTube homepage. Check out their videos below and vote for your favorite here. In addition to your votes, each channel will be evaluated on criteria such as viewer engagement and channel optimization techniques to decide which partner will be featured on the homepage, Google+, Facebook and Twitter at the end of the month. In past months past on the rise nominees, partners like worldfoodprogram and mikeyssmail have gained many subscribers thanks to your support. The poll will be open until August 16th at 5pm PT, so don’t forget to vote for your favorite channel. Check back to see who secured the homepage feature on August 29th. Sanjay’s personal motivation when creating YouTube content is to inspire his viewers to cook and to taste. Aiming to make Indian food fun to cook, his videos feature recipes and demonstrations for Indian appetizers, entrees (vegetarian and non-veg, depending on your preference), desserts, and more! Fitness guru Arash has amassed hundreds of videos about strength training, including workouts for specific goals, celebrity training, and interviews. The Strength Project’s mission is to promote an active lifestyle, and this channel is sure to contain content that appeals to almost anyone who’s looking to bring some fitness into their daily routine. A self-proclaimed ‘Italian petrolhead,’ auto-enthusiast Marco has uploaded over one thousand videos to his channel. His long tenure as a sportscar fan has led to videos featuring motor shows, races, and even test drives of rare vehicles. Aaron has always had a passion for video editing and special effects, and his years of dedication to mastering programs like Final Cut and Adobe After Effects have certainly paid off. He’s paying it forward with his YouTube videos, in which he provides tutorials and walkthroughs to demonstrate all kinds of video special effects. If you’re interested in checking out more rising YouTube partners, visit our On The Rise channel, which showcases nominees, trending partners and monthly featured partners. Our On The Rise program showcases four YouTube partners whose channels have shown strong performance and growth but haven’t yet reached the 100,000 subscriber count. This month, our four nominees are more than halfway to that point, and we’ve been captivated by their YouTube content. Each of these partners has found success by featuring his passion and skills in the videos he shares. We hope you find their content - about cooking delicious Indian food, fitness training tutorials, supercar events and races, and video editing software walkthroughs - as engaging as we have. We restructured the design to show bigger, higher-quality thumbnails. We’ve also included more information related to the video. If an uploader has commented, posted, or added a video to a playlist, we surface this information so you can get a better picture of all the activity related to the video. We’ve introduced a menu that lets you quickly control what content appears in your feed. To bring up this menu, simply hover over an item in the feed and click the arrow that appears in the upper right of the item. You can then choose to hide the item you have selected, opt to only show uploads from that user, or unsubscribe from that user, all directly in your feed. Videos that you’ve already watched are clearly marked in the feed, so you can better decide what to watch next. The Highlights view, which is currently the default view of activity on the homepage feed, is designed to ensure that a diverse set of creators appear in a viewer’s feed based on their subscriptions. Some creators publish videos once per week, while others publish many videos every day. Highlights views helps ensure that prolific creators don’t crowd out more occasional publishers in your homepage feed. We’ve seen the Highlights view increase overall video viewership, and we’ve heard your feedback on wanting a way to easily see all content from your subscriptions. If you want to see each and every item from all channels, you can always select the Everything view. We are continuing to build features to make it easy to know when your subscriptions have new content, so watch for more improvements in the future.